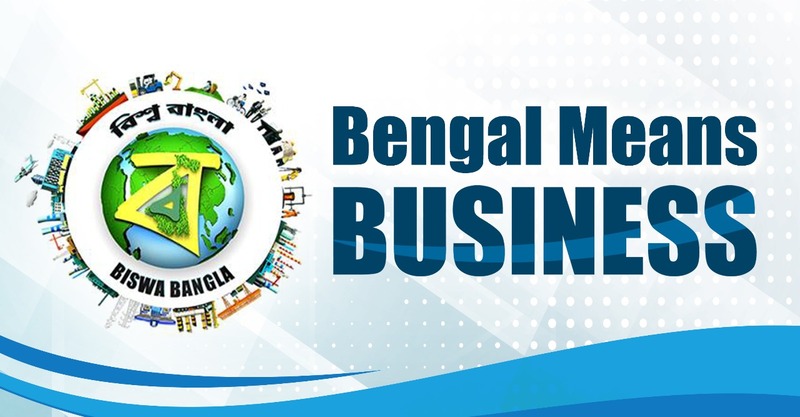 Bengal bagged investment proposals close to Rs 43,500 crore from the bigwigs of Corporate India on the first day of the Bengal Global Business Summit with Mukesh Ambani’s Reliance leading the pack, followed by Sajjan Jindal’s JSW Group, ITC, DP World, Luxmi Group among others. Chief minister Mamata Banerjee said she’s happy with the outcome of the first day of the fifth edition of the summit. “Onek bhalo proposals esche (some good proposals have come). There are many foreign delegations too,” Banerjee later said. Summit banners along Calcutta roads. Picture by Sanat Kumar Sinha Reliance plan RIL chairman Mukesh Ambani said his group will further invest Rs 10,000 crore in Bengal to expand digital and retail businesses. “In 2016, when I first attended the BGBS, Reliance’s investments in the state were Rs 4,500 crore. Today, our investments stand at Rs 28,000 crore in Bengal alone. This accounts for about a tenth of our total investments in India so far. Jio has thus become the largest investor in the digital space in this state. “Now, we have firmed up our plan for a further investment of over Rs 10,000 crore. This plan is already under implementation,” Ambani said in his speech. He also committed himself to build a data centre in Rajarhat and develop a warehouse for its e-commerce business. DP World DP World, the world’s largest port operator, which was repre- sented by CEO Jibu Kurien Itty, said it would invest Rs 3,000 crore to build a container port in Kulpi, a project in the making for almost two decades. DP World will hold a 74 per cent stake in the port, which is likely to be operational by 2022, while Keventer will own 21 per cent and the WBIDC 5 per cent. The company will start acquiring 400 acres for the project where a logistic hub may also come up. A multi-purpose industrial zone is on the cards, too. ITC factory Sanjiv Puri, managing director of ITC, said the company will build a personal care product factory in Bengal. “We propose to make new investments of Rs 1,700 crore in the near future, taking our total investments to Rs 5,700 crore, which includes a manufacturing facility for personal care products, investments in the décor paper manufacturing facility in Tribeni, expansion of the Dhulagarh facility and others,” he said. Puri said ITC Royal Bengal was near completion and ITC Green Centre and Infotech Park were in advanced stages of construction. JSW Group Sajjan Jindal, chairman of JSW, said he would double the capacity of the cement plant at Salboni to 4.8 million tonnes. Jindal also plans a pumped storage power project where close to Rs 7,000 crore may be invested. He spoke of his wife’s plan to build a museum. “Sangita is working to build a Partition museum for which the land has been given to us by the state,” he said. Purnendu Chatterjee Chairman of The Chatterjee Group spoke of building three research centres in Calcutta. “We have started under the Haldia and MCPI aegis three new research centres for neuroscience, quantum technologies and an institute for AI and blockchain. These will be operational within the next 12 months,” Chatterjee said. These centres will be a bridge between universities and corporate houses. Chatterjee said he is toying with “7-8 projects” in PTA and petrochem downstream..